Size (Inch): 8" to 36"
Capacity: 500 to 50000 ltrs. per hour. We are engaged in manufacturing Incense Powder Filter Machine. 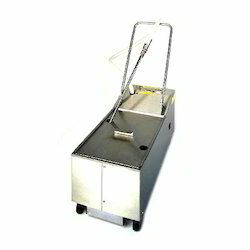 This machine has high efficiency, compact design and durable. We offer these machines at leading market price. We are identified as one of the leading names in the market engaged in providing a wide range of Bottle Filter Machine to the clients. - Filter Time: 50 Kilogram Raw Powder With in 10 min. Pioneer in the industry, we are engaged in manufacturing an impeccable range of Bag House Filter Unit. Aimed at a prosperous growth in this domain, we are engaged in offering an excellent quality range of Wound Cartridge Filter Machine. - You can filter 50 kilogram raw powder with in 1 hour. - Single phase machine with 1 hp. LT Features and Options Novel and concise structure and barrel made of stainless steel. - Mirror polishing, grinding and complete cleaning of outer wall and inner groove. - Installed with pressure relief valve, it is safer. - Lateral feeding system reduces feeding pipes, easy for cleaning. Our company is providing Multi-Tube Backflushing Filter. In addition, this product is available in varied configurations that meet consumer’s demand. 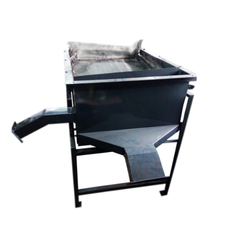 ONLINE FILTER FOR MANGO PULP. Filter Manufacturing Industries Pvt. Ltd.